After showing that error message the game crashes to desktop. It's not that. 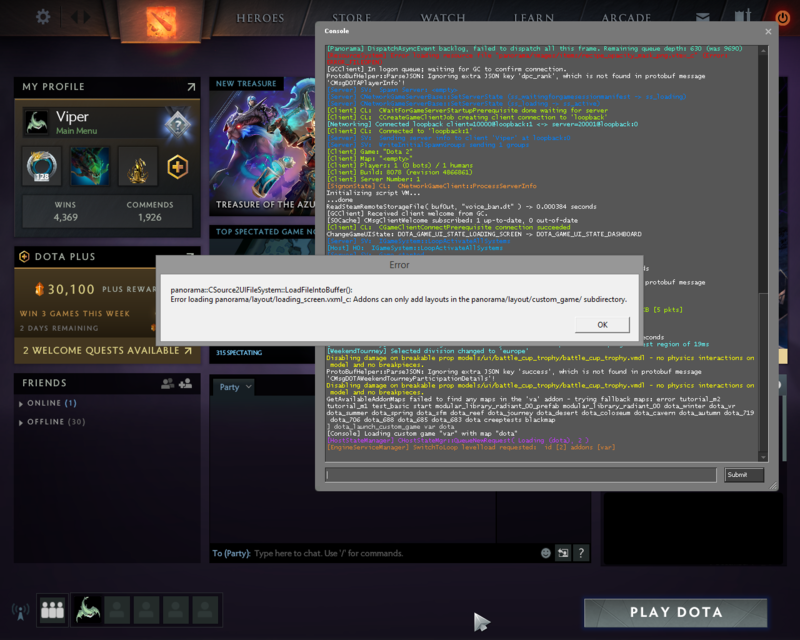 I've just tested dota_launch_custom_game reincarnation_offline reincarnation_map_beta and it works fine. Are you sure you've followed the basics? Maybe start over by modifying a built-in example? 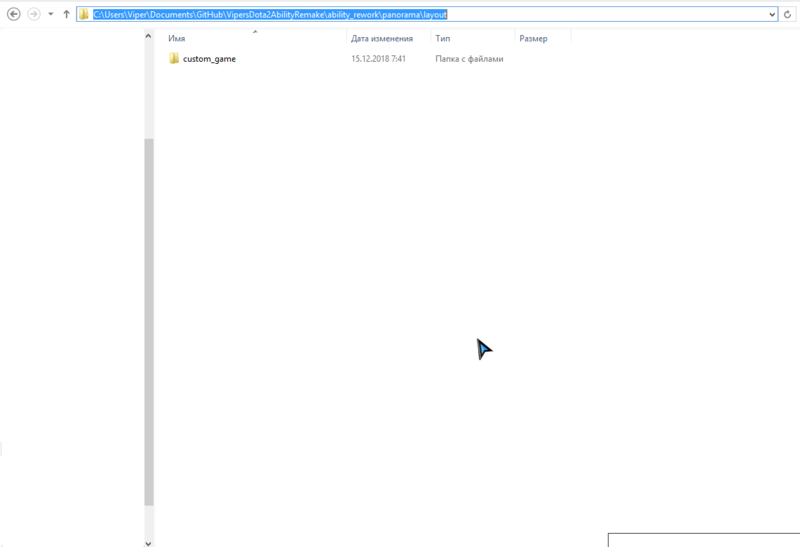 Can you try loading "cavern" with the client not being launched in tools mode? Because that crashes with the same error for me, and it worked fine before that update. I understand that I probably should use tools mode for development but it has longer loading times and 2 times less FPS for me, so I only used it when editing panorama due to changes updating the interface without having to reload the game. Last edited by Dimas-DSF; 12-15-2018 at 09:07 AM. I did not have the client in tools mode when I tried it (reincarnation is a workshop-published game, and I've made an offline storage variant of it some time ago - I launch it via normal dota). Will test cavern and others when I get the chance. So after a break from modding I decided to try it again to see if anything changed and I was really surprised to see it did. but only if I selected the gamemode and the map by using the arrow keys in the console, trying to type the gamemode name and hitting enter I got the same error as before. I dont even have a slightest clue to why they coded this stuff to work this way. Last edited by Dimas-DSF; 01-15-2019 at 02:51 PM.